What Does A Catering Company Do? 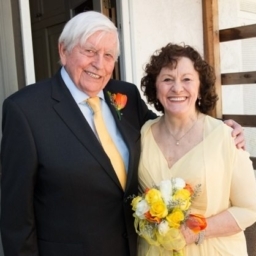 Home Featured Posts uncategorized What Does A Catering Company Do? 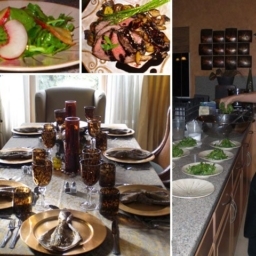 Yes, catering services coordinate the preparation, creation, delivery, and presentation of food for clients. If you’ve ever attended a wedding reception, fundraiser, bridal shower, rehearsal dinner, or bar mitzvah that had delightfully prepared and presented food, chances are that event was catered. Additional responsibilities of your event catering company, often include the rental, set-up, and clean-up of decorations, tables, chairs, music and lighting (we’ll talk more about these non-food related responsibilities down the line). This type of event catering often comes in the form of a food truck, food cart, or delivery service. For example, our SIMPLY LUNCH program offers organic made-to-order meals delivered daily to your workplace (or it can be cooked in your workplace kitchen). This option is often less expensive and less involved. The process, more or less depending on the client’s needs, involves agreeing upon a predetermined menu and arranging delivery of the food. Most often, minimal staff are required, also reducing costs. All private event catering companies are independently owned and operated businesses. 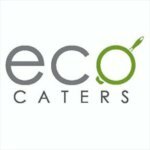 Eco Caters is proud to be a local, family-owned and operated, full-service event catering company. Private caterers are often hired for business and personal anniversaries, birthday parties, wedding receptions, business holiday events, bar/bat mitzvahs, as well as many other events. The type of catering service is often responsible for all aspects of the event planning. This most often includes (but is not limited to): menu design and preparation, cuisine creation and presentation, plate and dinnerware rentals, and arranging appropriate pre-event, event, and clean-up crew staffing. As a full-service event catering company, Eco Caters works hard to execute the unique vision for each of our clients’. Collaboratively, we custom design everything from the menus to budgets, decor to the cocktail list, and much more. We aim to satisfy all the senses — sight, sound, touch, taste, smell. Continuity is key to create the perfect ambience. Now that you know what catering for special events is, you should also know that a good caterer should be able to adapt quickly, since both the client’s needs and event happenings are ever-changing. Throughout every event, your catering team plays a significant role in the seamless execution of the experience since they are also the primary clean-up and tidy crew. A good catering team will pick up all dirty plates, unattended drinks, sweep up broken glass, and even deep clean the venue at the end of the night to help you get your deposit back. This dedication keeps the event safe and looking flawless at all times. If all goes well, you won’t even be aware of all the behind the scenes care a catering team, and their servers, put into your event. So what does a catering company do behind the scenes? From the initial client-caterer meeting to the big day, catering involves a lot of planning, preparation, teamwork, creativity, and flexibility. From concept, to the last uneaten bite of salad residing in the dumpster, a catering team works closely with their client to custom craft an appetizer menu, bar menu, sit down dinner menu and possibly dessert, coffee, and late night bites menus as well. This includes discussing staffing, scheduling, presentation, contractual expectations of both the wedding couple and the caterers, and post event clean-up (great right?). In addition, some event catering companies like Eco Caters, will reach out to their organic, local growers and reserve the seasonal fruits, vegetables, and produce for the upcoming event. What’s in season will often drive the menu options for both the guests and head chef. An event catering company can also help the client reserve rentals for an event. This includes, but is not limited to: tablecloths, cocktail/gift/cake tables, chairs, dishware, bar glasses, space heaters, and so on. Once all the the details have been agreed upon, the catering company will draft a contract for review. Don’t be afraid to ask questions and negotiate! No contract? Don’t hire! A good catering company will be transparent with their costs and explain to the clients why they made the decisions they did, for example hiring X number of servers or choosing one wine over another. Day of event — Before guests arrive, the catering supervisor & team will work hard to set up the tables, chairs, bar(s), and begin preparing food. Once the event is underway, the captain will work with the other vendors to stay synced with the event timeline, clean-up dirty or discarded dishware, clean-up broken glasses, and politely accomodate the needs of all guests. Following the event — the catering team will most often be the ones in charge of disposing of garbage, organizing rentals for pickup, and leaving the venue in standing order. What Does A Bad Catering Company Look Like? Now that you know what to expect from a catering company, it’s also important to be aware of what a bad catering company looks like. There are a lot of shady catering companies out there so do your homework! It’s a good thing to investigate their online reviews and it it common to request referrals from past clients before booking them. Also, make sure the catering company you book has insurance and is licensed to serve food (and alcohol, if applicable). You’d be surprised how many do not. Can you meet them at their kitchen? Seeing a clean, organized kitchen says a lot about a catering company. If things look chaotic and filthy, chances are, so will your event. A bad event catering company will show its true colors during the preparation process. Are they responsive when you call and email them? Are they transparent with their order forms and billing? Are they on time for meetings? Will they be on time (or early) to set up for your catered event? Being punctual is a key quality of a good catering company, as often they are the first and last vendor to be on location. Since most events focus around food, cocktails, and clean up, hiring a bad catering company will greatly affect your event experience. They may have a hard time getting dinner out on time… They may have a lackadaisical staff that doesn’t do a solid job cleaning up after your guests, leaving your event to look unkempt…. They may cut corners and under-staff your event…. They may not clean up the venue properly at the end of the night putting your deposit in jeopardy. You get the idea. Hopefully, your burning catering questions — What is event catering? What does a catering company do? And what is a caterer? Have been thoroughly and satisfyingly answered. When it comes to hiring a caterer, doing your homework will save you a lot of time, money and most of all, your celebration will go down in history as one of the most fabulous events guests have attend, instead of infamy. For more information about certified organic catering, or hiring Eco Caters for your upcoming event, contact our friendly team at info@ecocaters.com. With a few simple questions we can create a seasonal custom-menu that suits your budget and all your event needs.